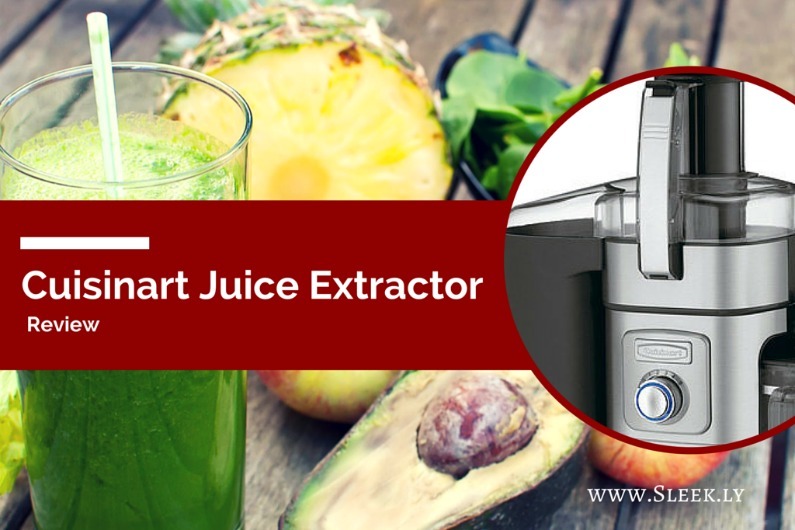 The Cuisinart Juice Extractor is a powerful and affordably priced centrifugal model designed to appeal to both beginning and veteran juicers. With a price tag around $150, it is an excellent entry to mid-level unit that offers an array of attractive features normally found on higher-end machines. For example, it is equipped with a powerful 1000-watt motor, an extra-large 3-inch feeding chute, an anti-drip adjustable flow spout, and 5 speed settings. By comparison, this powerful centrifugal juicer works faster, is easier to clean and is about half the price of a mid-level masticating juicer. Built to exacting North American Electrical Standards, the Cuisinart Juice Extractor definitely deserves a closer look. Cuisinart Juice Extractor is a powerful and affordably priced centrifugal model designed to appeal to both beginning and veteran juicers.. Overall, most buyers of the Cuisinart Juice Extractor seem very happy with their purchase. As a testament to its value and performance, this particular model boasts more than 250 perfect 5.0 star reviews on Amazon. With a composite score of 4.1 (out of 5.0), nearly 80% of all reviewers awarded this unit a 4 or 5 star rating. Features like a foam-reducing filter basket and die cast, stainless steel housing score high marks from online buyers. Many buyers really like its powerful 1,000-watt motor, dishwasher-safe parts and cleaning brush that combine for a quick juicing experience with easy clean up. The large 2-liter pulp container and generous 1-quart juice pitcher also earned kudos from users of this product. Unfortunately, one drawback of this highly rated and affordable centrifugal juicer is the amount of noise it makes while operating. Some reviewers feel the Cuisinart Juice Extractor is a very loud juicing machine, while others noted this is in line with other centrifugal juicers and is to be expected. The reality is that centrifugal juicers work at an incredibly high revolution per minute (RPM), which causes a certain amount of noise and vibration while operating. This also explains why they are so fast compared to masticating models. When considering all the wonderful features this affordable unit has to offer, such as an easy, built-in locking/unlocking system, noise level is one potential drawback you may not mind so much. 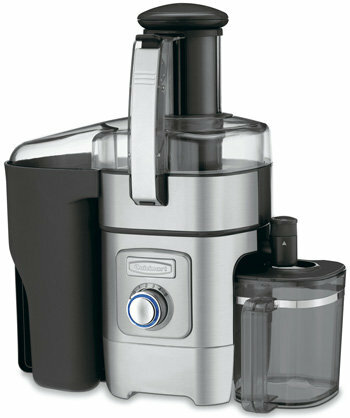 For the value-oriented buyer, the Cuisinart Juice Extractor is worthy of closer inspection. This unit simply can’t be beat considering the features and benefits it offers for an attractive low to mid-level price tag normally found on less capable juicers. However, if you want a higher-end model with more bells and whistles, you might also want to check out the Breville 800JEXL Juice Fountain Elite 1000-Watt Juice Extractor. Smart Buying Tip: The Cuisinart Juice Extractor is frequently purchased with the nominally priced SquareTrade 2-Year Appliance Protection Plan. This plan covers your Cuisinart investment top to bottom for two full years from the date of purchase. For just a few dollars, you can protect your investment against all manufacturer and hardware failures.